Ma’heono’hetohone’e “Camping In A Sacred Way” Therese was born February 17, 1935 at home along the Tongue River Valley in Ashland, Montana to her parents John and Cecelia Woodenlegs. They lived there for awhile, until moving to Lame Deer and eventually to the family ranch, south of Lame Deer. She received her education from the local schools; attending Lame Deer, Busby, and St. Labre. During high school, Therese transferred to Detroit, Michigan to attend school there as well. Upon returning, she graduated with her class at St. Labre. In Lewiston, Montana, she worked for a time at the hospital and trained for nursing. However, due to the long hours on her feet, she decided it was not meant to be. Therese married Oscar Kinzel and to this union, she had a son, James Woodenlegs. Later, she married Wayne Mickey One Bear and to this union two children were born, John Clark and Mary Therese. After her husband died, she moved to Billings, Montana, to work in the area office for Bureau of Indian Affairs. During this time, her sister, Darlene, passed away, so Therese took in and raised her niece, Donita. After a few years, she decided to leave Billings and move back home to Lame Deer. 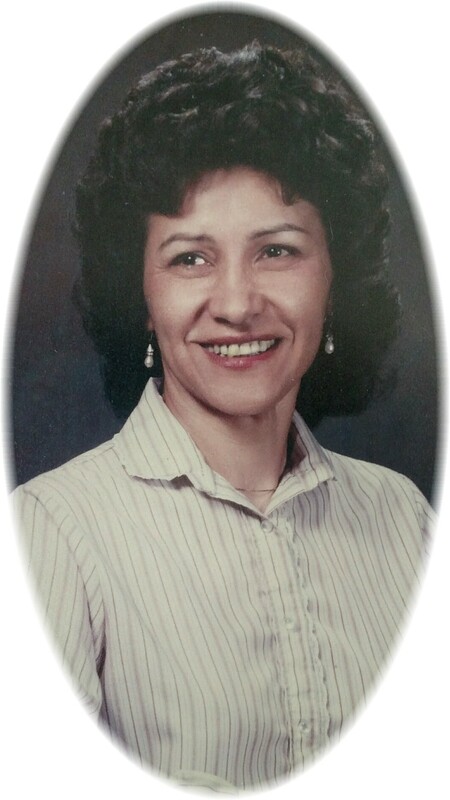 Therese worked at the Northern Cheyenne Agency in realty; eventually becoming the Realty Officer. She purchased land on the Ashland divide and made a home where she raised her family. Therese was a member of the Native American Church. She worked for the Bureau of Indian Affairs in a 30 plus year career. After retirement, she served on the Tribal Council and the Busby School Board. Finally, it was time to just enjoy life with her grandchildren and also her great-grandchildren. Therese was preceded in death by her parents, John and Cecelia, her brother, Russel De Venerio, her brothers Patrick, Harvey, John Jr., Max, her sisters Zethel, Darlene. Survivors include her sister Rosie, her brothers John Joe, Everett Whitewolf, Henry Brightwings, her children James, John, MaryTherese, Donita, her adopted son Tupper Dunbar; nieces and nephews; her grandchildren Patrick, John Jr., Frankie, Katelyn, Lane, Willy Jr., Azure, Talon and Jovanna and all of her great-grandchildren, and extended family. We apologize if we left anyone out, as our family is very large. To the family, my deepest condolences. We used to live about 1 mile from their house when we moved to our “red” house 2 miles south of Lame Deer, we would ride horseback up and visit them quite a bit. My deepest condolences to Therese’s family. THE NORTHERN CHEYENNE CHIEF COUNCIL EXTEND THEIR MOST SINCERE CONDOLENCES TO THE FAMILY OF THERESE WOODENLEGS AND PRAYERS FOR STRENGTH DURING THIS MOST SAD, SORROWFUL AND MOURNFUL TIME FOR THE LOSS OF BELOVED LOVE ONE. So Sorry for your loss of Therese. The family is in my prayers. She was my sister Delores Little Coyote’s friend in school. John, Barbie and the rest of Therese’s family, so sorry for your loss. May God be with you. My most sincere condolences to the family. Therese worked with my mother at the BIA, and Mom always spoke so highly of her. She seemed like such a kind and gentle lady. May God bless you and guide you through this difficult time. I met Therese one brief time. I know her son, James Wooden Legs. She raised a very fine son who is respectable and considerate, which he probably got from his mom. May her soul find peace and love on her next journey and may the memories of this special lady fill your hearts with love. Sending my condolences to the family!!! Prayers for the family of Theresa, my BIA Realty Partner and friend. So sorry I could not have visited her more. I took my mom to dialysis in Billings the day of Theresa’s funeral and could not attend. She was quite a women and I learned my many work ethics from her. Marytherese I am so sorry to hear about your mom, she was a really neat lady. Sending prayers for peace and comfort during this painful time. Therese was a co-worker with my father, Leslie Cline Fleming, at the BIA Realty Office. She was a graceful, kind person then and she never swerved from taking care of family. She will be missed greatly and I offer prayers for many forms of comfort to surround her family and friends.